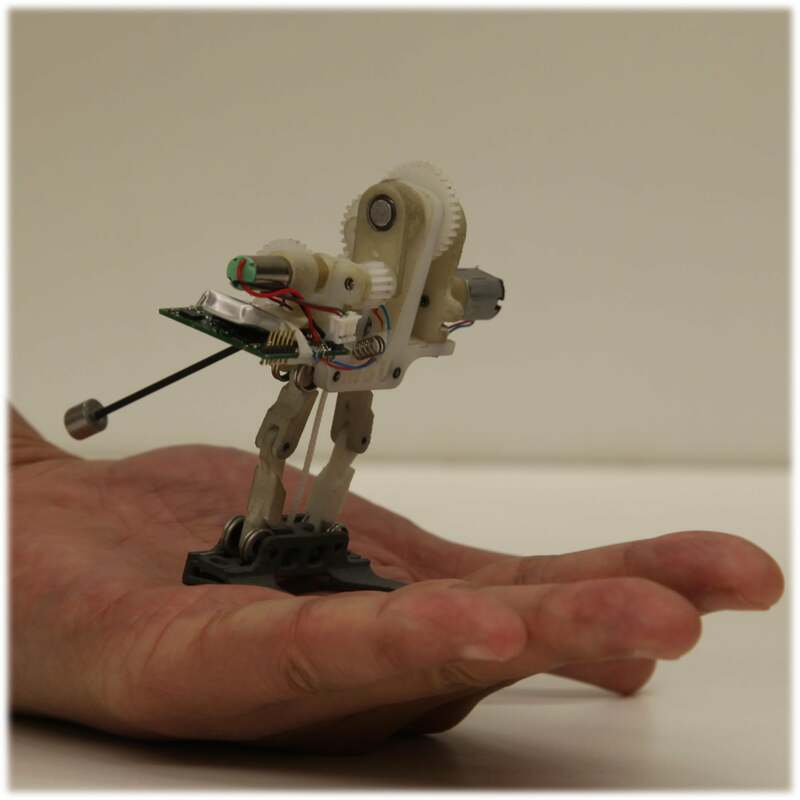 Tiny robots called TailBots could map disaster areas or chart enemy territory. We often think of tomorrow’s robots as humanoid killing machines capable of complex reasoning and self-aware one-liners. But what if they were more like froghoppers—those little wedge-shaped bugs that bound away by the dozen when you stomp across the backyard? Froghopper bots would probably be a lot more useful than a bipedal supercomputer. With an array of sensors and the ability to bebop through any kind of terrain, a small army of mindless leapers could map disaster areas or enemy territory without requiring much information or input. Just set those buggers to bounce and wait for the data to roll in. And thanks to some new work out of Michigan State University, this sort of robot future isn’t far off. Ph.D. student Jianguo Zhao and his MSU colleagues have been working on 3-inch prototypes they call TailBots. The tail isn’t so much a prehensile monkey appendage as it is a little rod used for leverage and midair maneuvers. And a good thing, because like the froghoppers, TailBots use motorized springs get some major air—up to 10 times their body length. So far, the team at MSU has equipped their TailBots with “on-board energy, sensing, control, and wireless communication capabilities, which enables tetherless or autonomous operation.” Keeping the bots small will no doubt limit just how much sensory equipment we can pack into the little guys without weighing them down, but if they’re cheap enough, you could always deploy teams with different monitoring capabilities. The TailBots aren’t much to look at in a world full of sewer-scoping rovers and DARPA Atlases. But as little bots get more technologically advanced, there’s always a chance scientists will throw us a bone and build a Voltron. Or at the very least, a Quad Laser.